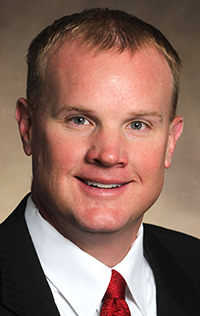 As Hy-Vee explored an expansion to the standalone restaurant business, it was the success of an in-store offering that showed it where to look. Specifically, it was the association with actor Mark Wahlberg’s Performance Inspired sports nutrition products line that led to this week’s announcement that the chain would build and operate 26 Wahlburgers restaurants, becoming the largest franchisee of the chain founded by the Wahlberg family, said Jeremy Gosch, EVP and chief merchandising officer for Hy-Vee. Mark Wahlberg appeared at a Hy-Vee fundraiser earlier this year. Hy-Vee earlier this year became the exclusive retailer of the Performance Inspired line in its markets, rolling out the products in all 244 of its supermarkets and 140 convenience stores. 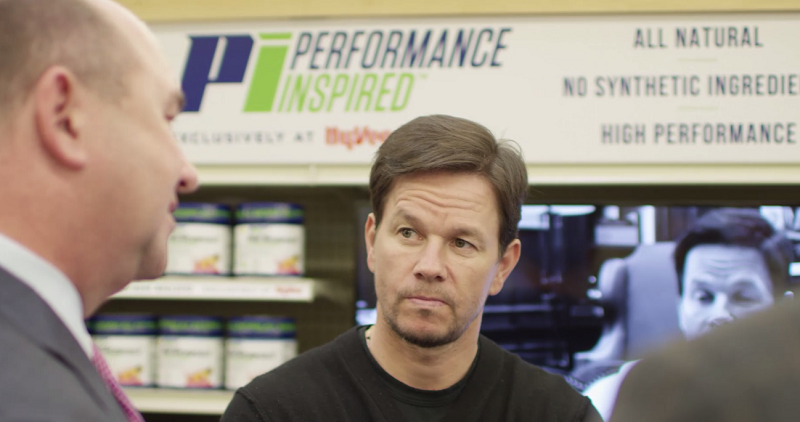 In January, Mark Wahlberg toured a Hy-Vee store as part of a fundraiser for Hy-Vee’s Homefront initiative and to promote the launch of the Performance Inspired products. Gosch said the opportunity to expand its restaurant footprint through Wahlburgers – a deal that will also allow Hy-Vee to offer signature items from the chain at its Market Grille in-store restaurants – made more sense to Hy-Vee than expanding Market Grille outside of stores. But responding to the change in consumer eating habits – particularly among younger consumers who increasingly look for meals away from home – was critical, he said. He said Market Grille locations – there are currently 84 – are doing “awesome” as a business, and that foodservice continues to expand in stores as illustrated by Hy-Vee’s newest locations in the Minneapolis area, which include Cocina Mexicana burrito bar, New York-style delis and a Thai inspired Hibachi Grill, concepts Gosch said the company plans to expand to other locations in coming years. “In Minneapolis, foodservice is in Aisle 1 and taking over a big part of the store: That’s a good indication of how well its doing,” he said. Hy-Vee earlier this year added about 20 new employees to support restaurant development as part of a restructuring around areas of the business projected to grow. The company also added workers in IT and in health and wellness.